Welcome to this fantastic collection of 100 Perception puzzles, in levels easy, medium & hard. 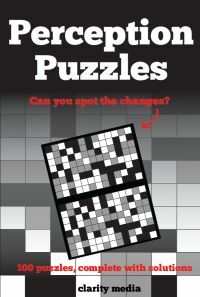 These puzzles are a great test of concentration and a keen eye for detail! 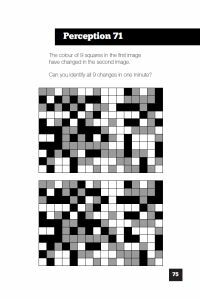 In under one minute, see if you can spot all changes between the two puzzles. All of our books are printed on very high quality paper with one puzzle per page, making the puzzle experience all the more enjoyable!